The head of Korean Air announced Sunday his two daughters have resigned from their positions at the company in light of allegations they abused subordinates. Chairman of Hanjin Group and Korean Air Cho Yang-ho said his two daughters Cho Hyun-min, 35, and Cho Hyun-ah,43, will depart all posts at the Hanjin conglomerate, effective immediately. He also said Korean Air will create a new vice chairman position to be filled by someone outside of the Cho family and will strengthen the board's role in company operations. Cho Yang-ho also issued an apology for his daugters' behavior amid growing anger throughout South Korea against the the family-run conglomerates, known as chaebol, which dominate the country's economy. "I am deeply sorry that problems connected to my family have worried the people and employees of Korean Air," he said. "As chairman of Korean Air and as the head of my family, I feel crushed by the immature behavior of my daughters." 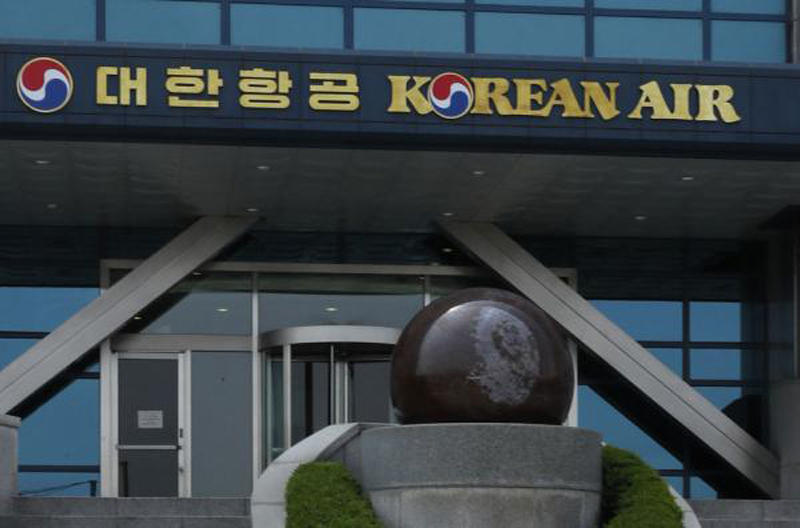 The announcement comes after Seoul police raided Korean Air offices Thursday to investigate allegations that Cho Hyun-min yelled and threw water or plum juice at an advertising firm employee. Investigators confiscated Cho Hyun-min's computer and two of her mobile phones and also seized mobile phones and a personal computer belonging to executive members during the marketing firm where her alleged victim works. Police plan to determine whether the two sides had coordinated their stories and if any threats had been made to the marketing firm. Cho Hyun-min has denied she threw the cup at the employee's face, saying she pushed it toward the ground and neither of the victims have reportedly expressed the wish to seek a case against the heiress. The elder sister Cho Hyun-ah made global headlines in 2014 for a so-called "nut rage" incident, in which she after forced a plane to return to the gate and forced an employee to kneel and beg for forgiveness, over how macademia nuts were served. She was sentenced to a year in prison, but later freed after an appeals court cleared her of the most of hampering an air route.